If you are going on a European adventure, and luxury is what you are after, there are many options available from the very start of your trip. 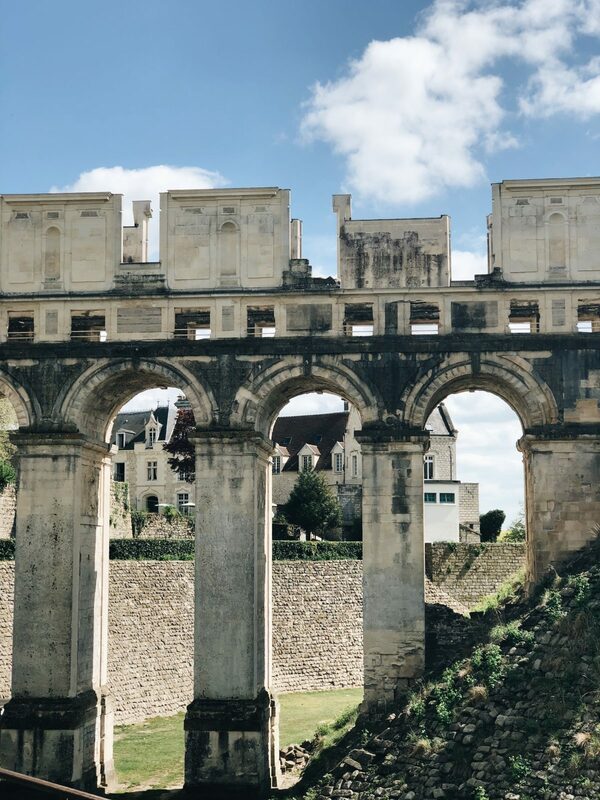 When I was in France in I had the pleasure of staying at this gorgeous chateau and it was simply luxurious (the photo above is from that trip- I’ll share all about that experience very soon!). You could begin by flying first or business class, as then you will have plenty of room, delicious food and depending which airline you fly with, could even have a private room with all your meals served on the finest china plates. Europe is full of luxuries and here are just a few more for you to enjoy. Why not hire a luxury car and be driven wherever you want to go to? You will see more of the views and sites if you are not driving yourself, and the driver is more likely to know the most picturesque routes. Adding a driver to the cost of car hire is not as much as you may think, but can make a big difference to the luxurious feel of your European adventure. There are many ideas for traveling around Europe in luxury, as well as the details of lots of destinations to be found in Artful Living Magazine. Of course, searching for luxury destinations online is also a good way to find those places you may not have considered before, but which will certainly add a little extra sophistication to your trip. You want your accommodation to have luxury too so should book yourself in a 5 start hotel or rent a luxury villa. Both of these tend to have the services of chefs, nannies and concierge among the many bespoke services they offer. The advantage of the villa is that you can invite friends to stay with you at no extra cost. Most of them are so large they have several bedrooms, and if you book them out of season, the price could be a lot lower than you would expect. The advantage of the hotel is there will be room service 24 hours a day. If you fancy a snack at 3 in the morning, the hotel will be able to make sure you get it. For real fine dining while you’re traveling, you have to go to at least one Michelin Star Restaurant. They are all over Europe and serve local dishes as well as the standard ones you expect everywhere. When starts are awarded, they are based purely on the quality of the food so you can be certain that you will be served meals of the highest quality. If anyone can get you into the show that has sold out or the restaurant that is fully booked it will be the hotel concierge. They generally have connections and know how to arrange these things and making a friend of them can be a great way to enjoy your European adventure even more. They will even help you to plan things that are away from the normal tourist attractions because they will know the area well and be aware of all the hidden gems. Europe is a wonderful place to visit with a large variety of countries to see. Each one has its own cultures and traditions, and they usually welcome visitors with open arms.